All Dealpath accounts recently received a major upgrade with the addition of Info Panels and Tables. 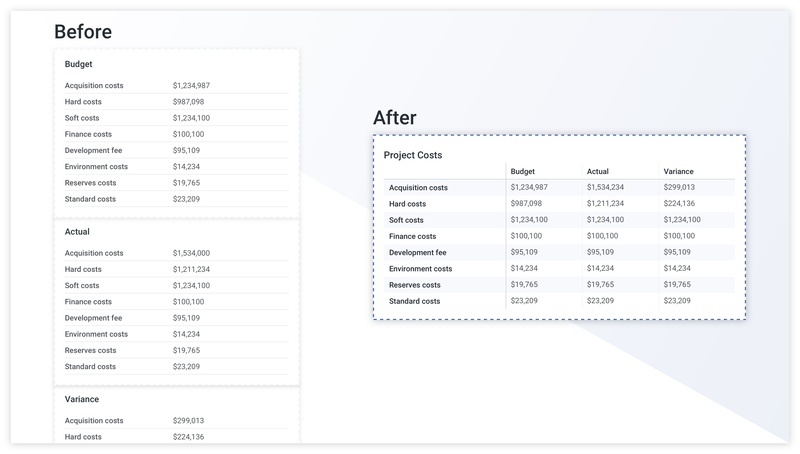 Instead of the traditional 3-column format, users can now create custom Info Panels and organize their data in tables for easier viewing. Info Panels fit in a 1 or 2-column format, allowing the newly added tables to stretch across the page. If you’re a customer, you can see for yourself and login to your account where the upgrade is already live. Otherwise, you can request a demo and we’ll show you firsthand. The upgrade extends to all types of fields, including photos, maps, and now, tables. 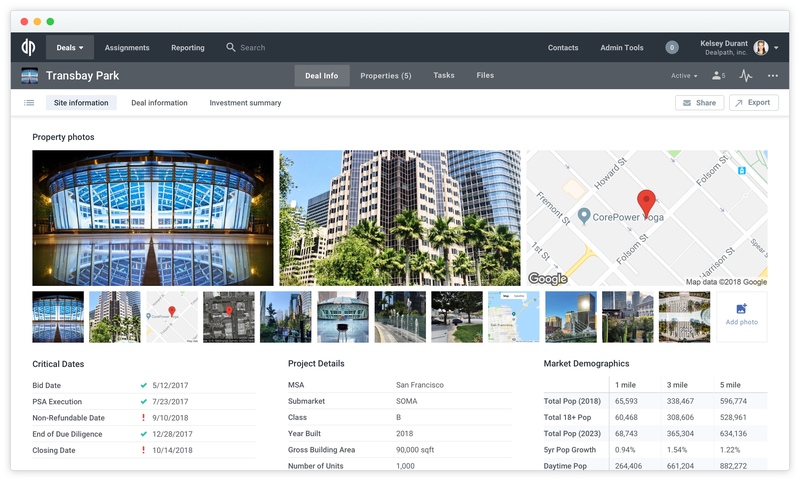 This gives users unprecedented customization over how they represent their data, allowing for easier data analysis and a more intuitive process for evaluating deals. To start using Info Panels, begin editing a template and select “New Info Panel.” Then choose a 1, 2, or 3-column format. Add info sections or table info sections, drag-and-drop panels where you’d like them, and edit the layout to create the view that works best for you. The upgrade was designed to make it easier for users to quickly view and edit their data. The result is cleaner, simpler, and ultimately more useful data formatting. This saves time and provides a more visually compelling user experience. To get started, login now and create a new template. If you aren’t yet a customer, you can also request a custom demo and one of our representatives will reach out to you shortly.